If there is one thing that 5 years of blogging has done for me, in the context of the nostalgia exercise that I call Those We Left Behind, is that, with the power of Google, it puts flesh on the bones of memory. The Beige Box console with the Big Orange Buttons is a good case in point. For years and years finding the truth about this anomaly of console gaming has proven to be as elusive as trying to catch smoke. Well, elusive until I channeled my google-fu and after several variations on phrases like ‘retro console beige box big orange buttons’ and ‘clone console beige box space invaders’, I hit the jackpot. You can speculate on the reason for the name ‘Voltmace’. Maybe the founders of the Company were Mr Volt and Mr Mace. Maybe just welding 2 masculine and arbitrary words together was the truth. I give no speculation on the application of the word ‘Database’ other than ‘Voltmace’ maybe thought the word was sufficient computer jargon to blind the customer with Science. What we have here, is a name that would not have passed muster at any other time than in the time this console was born, and we can all be thankful that that time has passed. 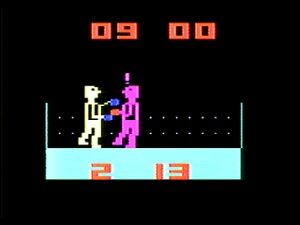 Though if ordering online was available in the early 80’s, the people in ‘Electronic’ shops would have been spared the duty of trying to flog Entertainment / ‘Educational’ Hardware with the words ‘Database’ and ‘Voltmace’ in it. I digress, as this moment of revelation, when I could finally put the name to one of my earliest games consoles, was a sweet victory. I quickly uncovered screenshots of games I had forgotten I had played with my Brother. 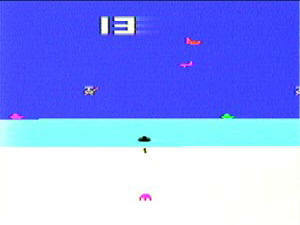 I remembered the primitive and not-quite-polished gameplay. 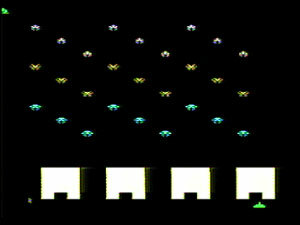 I was reminded of the fact that the Space Invaders clone that was the highlight of Christmas 1981 did not seem to have half as many Invaders as the Taito Original, and they did not form proper lines of attack. We got good value for money out of the Air Sea Battle clone, until the arrival of the most-awaited game in the whole Voltmace library, or the whole Voltmace ‘Databse’, if you will. 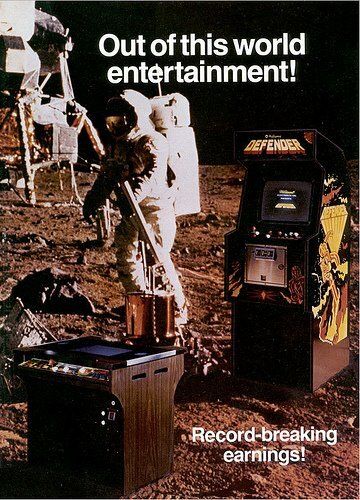 The Space Invaders clone, despite its shortcomings, was SPACE INVADERS IN YOUR LIVING ROOM. And that was enough. The Breakout clone was always a winner – it had Mass Appeal. Even Ted Rogers on 3-2-1 had people playing the thing as part of the Quiz Show (and that was more exciting than waiting to find out if the finalists ended up with Dusty Bin. 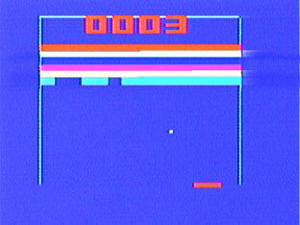 The Circus clone was a real bugger, as the little people you flung carelessly through the air with amazing speed were so little that actually getting them back on the greasy see-saw that slipped around at the bottom of the screen was akin to hitting that Exhaust Port down an armoured trench on a certain floating Battle Station by only using one shot and the ‘Force’, completely without Navigational and Targeting devices. 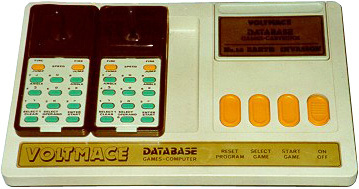 The Voltmace Database only plays a small part in my Gaming Timeline, but it was my first Console. 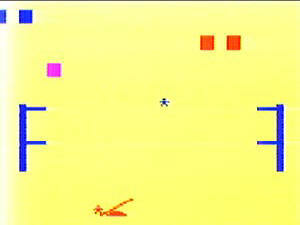 Its games never really hit the heights, have not been fondly remembered, but that horrible Beige Box was my first. Thank you, Voltmace. Thank you for the days. 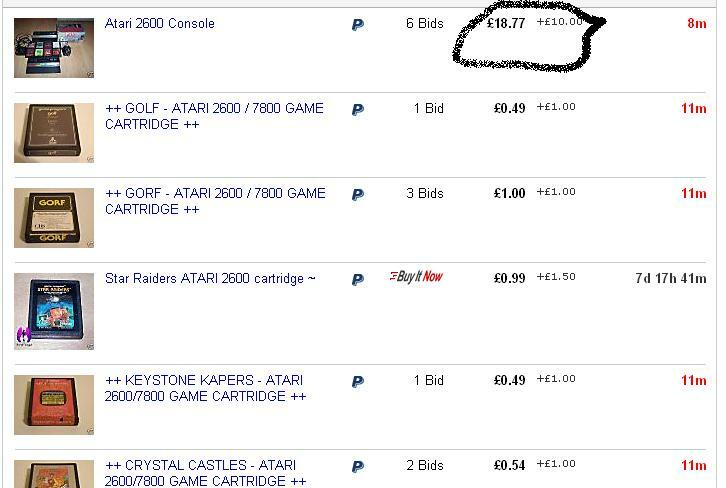 http://www.old-computers.com/museum/computer.asp?st=2&c=1189 – feeling geeky? The Specs, for your amusement, are here. http://www.videogameconsolelibrary.com/pg70-1292_vc4000.htm#Models – this was one details a whole family of these consoles, with nice pictures! 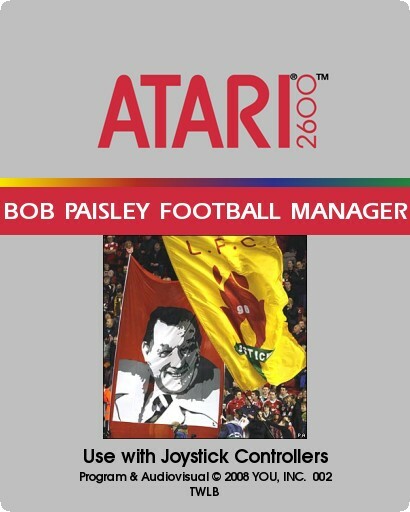 http://www.retrogamers.org/babble-article12.html – this is a truly wonderful piece, a love letter to this forgotten piece of early Console History. With great pictures! The website find of the year! 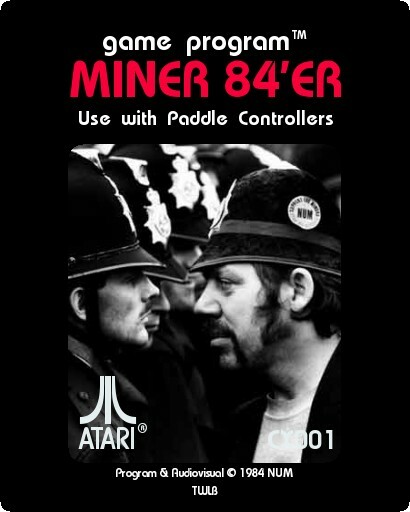 Expect this blog to clog up with an alternate reality of Atari console fodder.